View a short overview from 2010 AIME President DeAnn Craig about the organization's history created for the 140th anniversary. 2010 President, DeAnn Craig's AIME 140th Anniversary Speech recorded by Kevin Campbell. AIME establishes an overarching Sustainability Committee which developed the Engineering Solutions for Sustainability events. 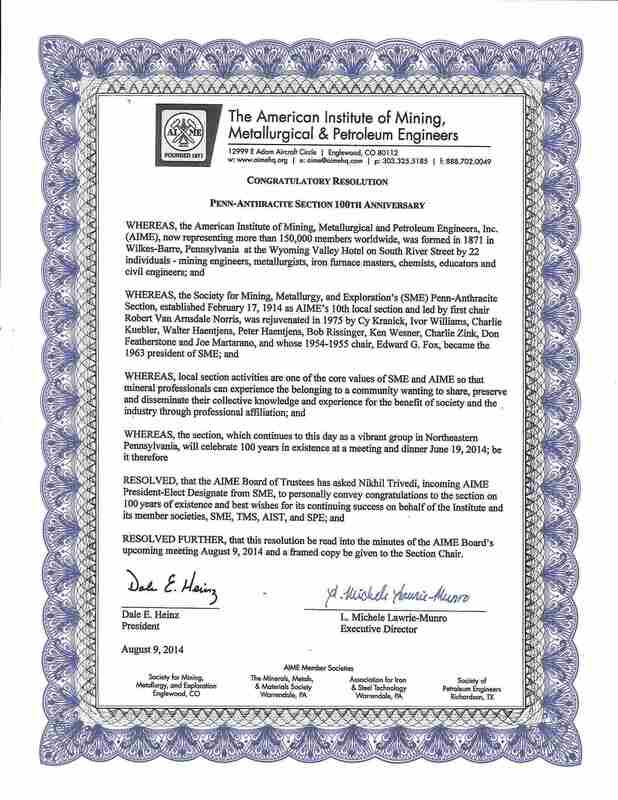 AIME Member Society, The Iron and Steel Society (ISS) merges with the Association of Iron and Steel Engineers (AISE) to form the Association of Iron and Steel Technology (AIST). This increases AIME total membership by more than 5000.